"The sun came out today," noted Pete Townshend at the Moda Center, adding, "Life is good." It was a welcome bit of optimism from a serious rock and roll curmudgeon, a 71-year-old Brit on his umpteenth tour playing the bloody hits yet again. Townshend's words were atypical, but then again, something different was in the air at this event, as opposed to, say, that Who concert you saw back in 2004, or maybe in 1989 or the '70s. This felt like goodbye. For real this time. 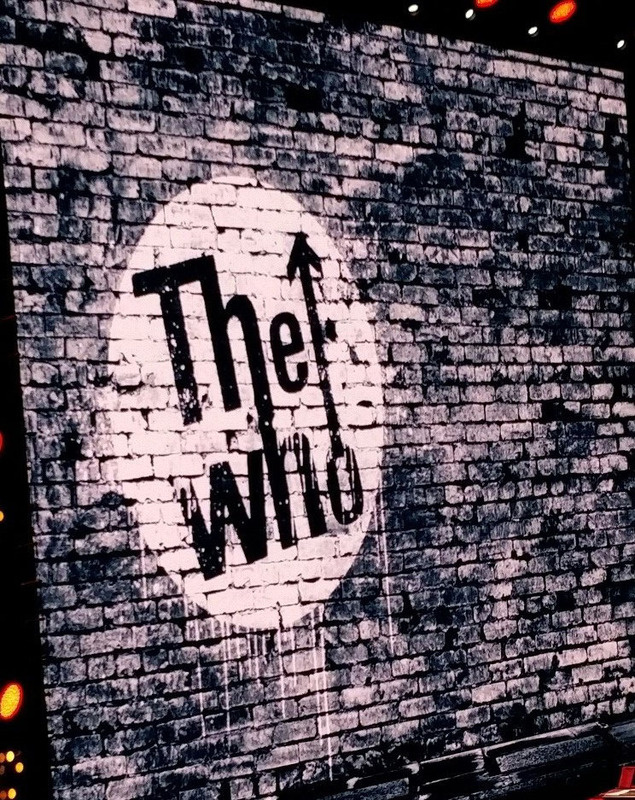 While this "The Who Hits 50" extravaganza isn't billed as such, the band is definitely guilty of pioneering the "farewell tour" as it exists as a rock and roll construct. After Townshend went off the rails with substance abuse in the early '80s, the group heeded the cautionary tale of the late Keith Moon, leaving the road (if not the recording studio) after one last big jaunt, even appearing on the cover of a 1982 issue of Rolling Stone with the headline "The Who The End." Of course, many a rock act has embraced this folly, only to renege. It's become such a cliche that a certain L.A. glam-metal band, upon recently announcing a farewell tour, actually signed a contract beforehand that they wouldn't merely hit the road again when money got tight or they got bored. Hilarious. Of course, the book of the Who was not fully written. In 1989, they returned with their "The Kids are Alright" tour to celebrate their 25th anniversary. And then, after the most protracted period of inactivity in their history, they resumed touring in 1996, and basically haven't stopped since. Diminishing returns? Depends on your perspective. Consider their 2000 tour specifically, when bassist John Entwistle was still alive. There was some truly fiery, dynamic instrumental interplay (even some jams!) and it proved that Roger Daltrey, Townshend, Entwistle and hired-gun drummer Zak Starkey (Ringo's son) could still really bring it. In 2002, Entwistle died in Las Vegas on a Thursday, and the band resumed touring the following Monday, playing the Hollywood Bowl in a defiant (some might say cold) demonstration of "the show must go on" imperative that brought bassist Pino Palladino into the fold. But let's jump ahead to 2016 and Portland, a continuation of the fifth Who tour since Entwistle passed. It's technically their 50th anniversary tour, but is now stretched to 52 years beyond their 1964 London formation, as this gig (and others) were postponed after Daltrey contracted viral meningitis in 2015. Originally slated for last September with opening act Joan Jett (not retained in favor of young Warrington, England group the Slydigs), the show finally took place, even if it was evident many folks opted for refunds, as dark scrims covered portions of the 300 level at the back. How was it? Well, perhaps it's easier to define a Who show in 2016 by what it is not, rather than what it is. In the context of "classic rock" giants that still stalk our arenas, this is not the high-energy, 35-song rock and roll revival that Bruce Springsteen can summon in his sleep on a Wednesday. This is not the mind-melting, illuminated trip through the cosmos that was David Gilmour's triumphant recent tour. This is not one of Paul McCartney's mega-impressive, tear-inducing bonanzas. No, this was a nostalgia ceremony and a valediction—Pete and Roger, slightly worse for the wear, but graciously honoring their touring commitments with sufficient fuel in the tank to remind fans why they loved this raucous, guitar-smashing band of London misfits in the first place. 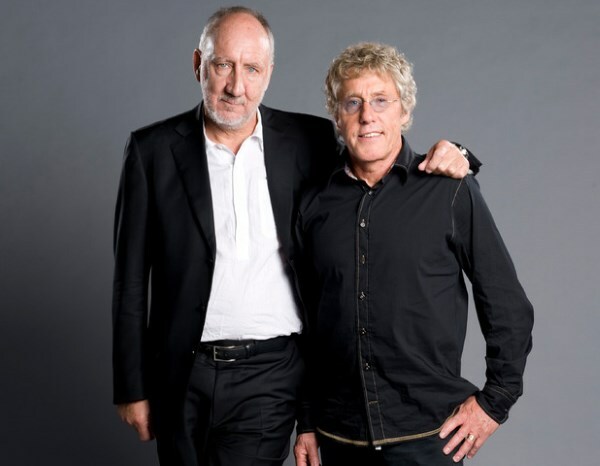 There is clearly some unfinished business in the minds of Townshend/Daltrey (a better name for these proceedings, probably, but that imprimatur might not sell as many tickets). Capping a legacy/self-deification may be part of it. On a huge video screen behind them at one point, the side of a dramatically tall seaside cliff was emblazoned with classic, youthful images of Roger, Pete, John, and Keith, which suggested a Mount Rushmore of sorts. On this night, we got two of those guys, backed by Palladino, Starkey, guitarist Simon Townshend (Pete's brother), and curiously, three keyboardists (Loren Gold, John Corey, Frank Simes), none of whom were longtime adjunct Who member John "Rabbit" Bundrick. It was six hired guns behind two rock icons still engaging in their signature stage moves: one still windmilling and leaning energetically into his axe, the other doing microphone twirls, albeit with the tentativeness of a stiffer 72-year-old. Nevertheless, it was a fist-pumping good time, even if the tea mug-toting Roger needed to take a whole song off to work himself into the climactic note of "Love, Reign o'er Me." 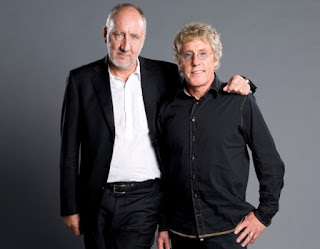 And to Daltrey and Townshend's credit, they were gracious, coming off as bemused elder statesmen who are as surprised as you are that they're still touring. "I'm happy to be here," said Daltrey early on. "I'm happy to be anywhere!" Unusually conversational from the stage, Pete and Roger kicked things off with "Who Are You" and churned through a 21-song set that touched on key milestones in their tremendous songbook, from 1967's soaring "I Can See for Miles" (an apt notion from one of their earliest singles) to the trifle "Squeeze Box" to 1982's percolating, barbed wealth meditation "Eminence Front." A welcome deep cut emerged with the powerful Quadrophenia instrumental "The Rock," a terrific choice that nodded to their best album, its performance adorned by interspersed video images of global calamity and Who history. Their legacy was being put in perspective, and put to bed. And what a legacy. At the risk of deploying a tired Who cliche, they didn't die before they got old, and so, loyal fan, they're up there playing for you one last time, and maybe for your kids that you brought along. Townshend summed it up best, dryly stating at the end of the show, "If this is your first time seeing us, tell your friends.... they've missed us!" The chunk of Tommy songs they did were excellent and made this girl very happy. What a legacy.